Florida native Julius T. Richards was a commission merchant in Washington, D.C. A Marine Corps veteran of World War One, Richards also collected Civil War artifacts. He added the Chewning artifacts to his own collection and built a $20,000 museum on the Manassas battlefield to display the relics. An additional $3,000 went into the exhibits that covered 180 square feet of wall space. The museum stood along Lee Highway (State Route 29) to the east of the famous Stone Bridge along Bull Run. 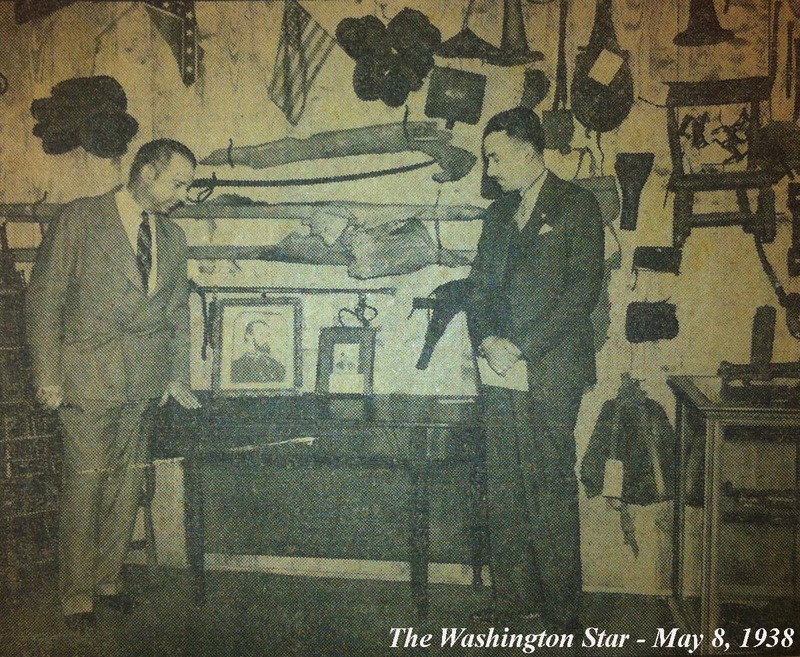 Richards retained the name The National Battlefield Museum and opened his business on May 8, 1938. Unfortunately for Richards, hopes for a thriving tourism business proved fleeting. World War Two greatly affected tourism to the battlefield and Richards ultimately put the collection into storage. The end of the war brought its own concerns for the museum. Construction of the National Park Service museum and administrative building at Manassas in 1945 created competition for Richards. Hoping to find a more suitable location, he took his collection and moved it to another Civil War site. Whereas the Chewnings always fretted about keeping the collection close to its origin, Richards opted to move it out of Virginia. It never returned. Vicksburg, Mississippi proved to be the new home for The National Battlefield Museum. Vicksburg’s role in the Civil War, Richards admitted, made it a natural location for his business. Richards’ wife also influenced the location, as she was a native of nearby Crystal Springs. The museum sat at 4005 Washington Street and the local newspaper referred to it as “a mecca for tourists.” The centerpiece of the collection remained the Stonewall Jackson amputation table. Mrs. Richards later stated that the collection’s storage during the war dealt a blow to the collection’s provenance. “During its storage,” she claimed, “many of the papers were lost, destroyed or stolen, including a complete file on each item and its description and identity.” Nonetheless, The Vicksburg Sunday Post Herald reported that Richards “can provide an interesting story about almost every object.” It’s possible that Richards sold some of the collection around this time, as the paper reported the museum contained 60,000 relics, whereas it had been reported that he obtained 100,000 artifacts from the Chewnings. Regardless of its size, the museum remained in Vicksburg for about seven years before Richards once again hit the road. 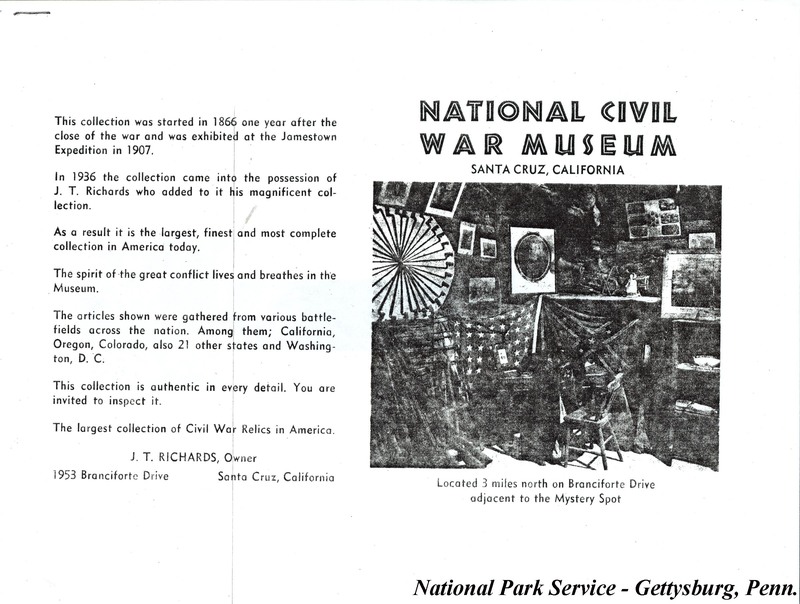 A brochure for Julius T. Richards’ National Civil War Museum in Santa Cruz, California. Some uncertainty exists about whether Richards actually opened his museum at this location. The collection’s destination after Vicksburg remains a little uncertain. California newspaper announcements from 1957 indicate that Richards intended to reopen the museum in Santa Cruz. A brochure exists for The National Civil War Museum of Santa Cruz that lists Richards as the owner. However, a 1961 Florida newspaper article about Richards states that he moved the collection to that state in 1957. Perhaps Richards intended to open the museum in Santa Cruz, but never quite made the move. Maybe he did go to California only to immediately turn around and take the collection to Florida. Either way, by 1960 the National Civil War Museum sat along the Suwannee River in Old Town, Florida. As the years advanced, Richards and his wife took less and less interest in the collection. They replaced their interest in Civil War artifacts and history, Mrs. Richards wrote, with “interest and enthusiasm concerning Biblical history and storing up heavenly treasures in Bible study and teaching others.” Richard suffered a heart attack and he and his wife contemplated the future of the museum and its contents. A waning interest in the artifacts, coupled with ailing health, the Richards decided to sell the collection. 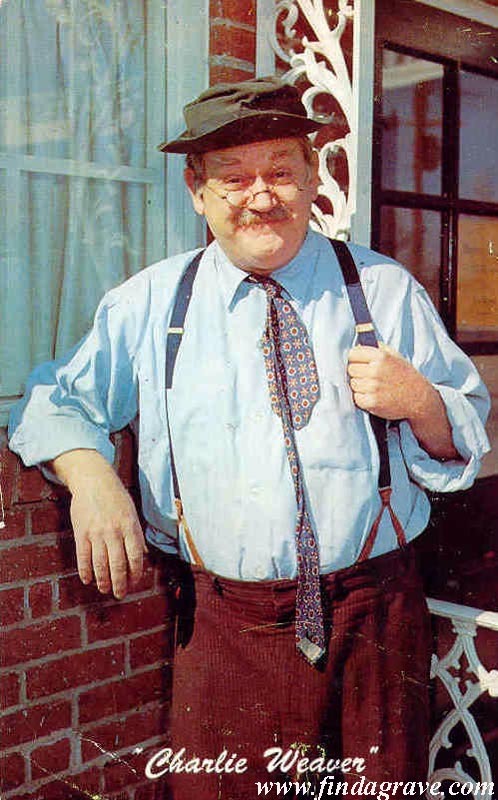 Cliff Arquette as “Charley Weaver.” Before selling to the Rosensteels, the Richardses offered to sell their collection to Arquette. On December 12, 1960 the Richardses wrote a letter to entertainer and television personality Cliff Arquette. Known for his comedic character “Charley Weaver,” Arquette also pursued a strong interest in Civil War history and enjoyed wood carving. He combined those interests in 1959 when he opened Cliff Arquette’s Soldiers Museum (later Charley Weaver’s American Museum of the Civil War) in Gettysburg, Penn. The museum stood along Baltimore Street on Cemetery Hill and displayed Civil War dioramas and figurines created by Arquette. The notion of buying such a large collection of artifacts that the Richardses offered for sale did not appeal to Arquette. He instead passed the letter on to his friend, George D. Rosensteel, IV of Gettysburg’s National Museum. The Rosensteels’ Gettysburg National Museum. This building later served as the visitor center for the Gettysburg National Military Park. The Rosensteel family began collecting artifacts associated with the Battle of Gettysburg almost as soon as the smoke cleared from the battlefield. 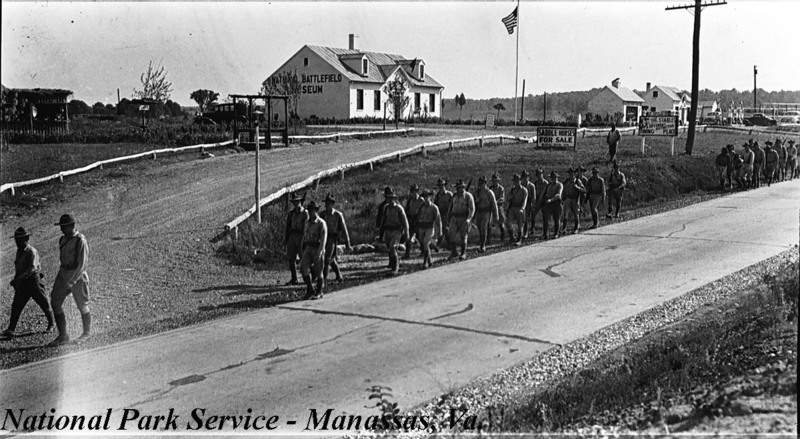 In 1921, George D. Rosensteel, IV opened the Gettysburg National Museum along Taneytown Road, directly across from the Gettysburg National Cemetery. He actively tracked down artifacts related to the battle and the Civil War and built for himself an impressive collection. He must have known about the items that Richards owned and when Arquette alerted him to the offer received from Mrs. Richards, Rosensteel wasted no time in pursuing the collection in Florida. The Richardses asked $60,000 for their collection. George appears to have been quite a negotiator as he was able to talk the Richardses down in price. 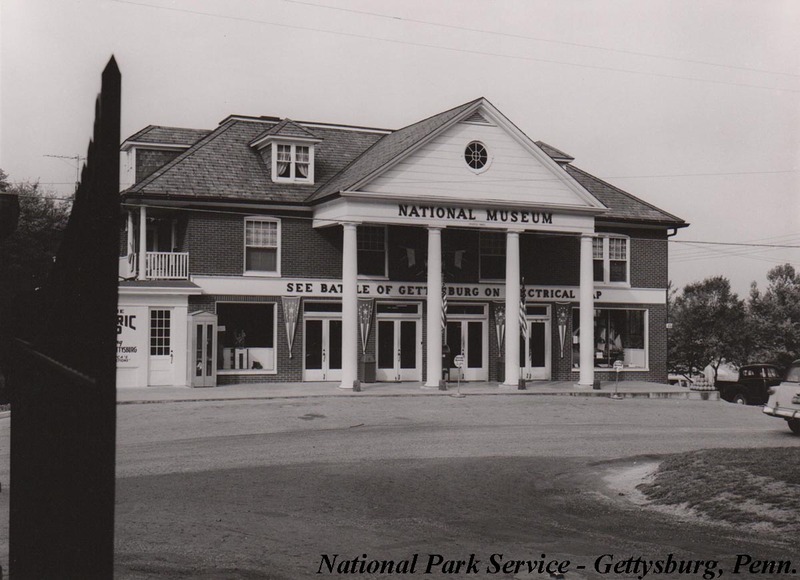 On June 15, 1961 the Richardses sold the contents of their museum, which numbered 60,000 items, to the Gettysburg National Museum, Inc. for $30,000 – half the asking price. The Rosensteels loaded up a moving truck and drove the collection north to be incorporated into their expansive and growing museum. A brass horn that belonged to a member of the 30th Virginia Infantry Band. In the top photo, the horn can be seen hanging on the wall (left) of Dr. Chewning’s National Battlefield Museum. 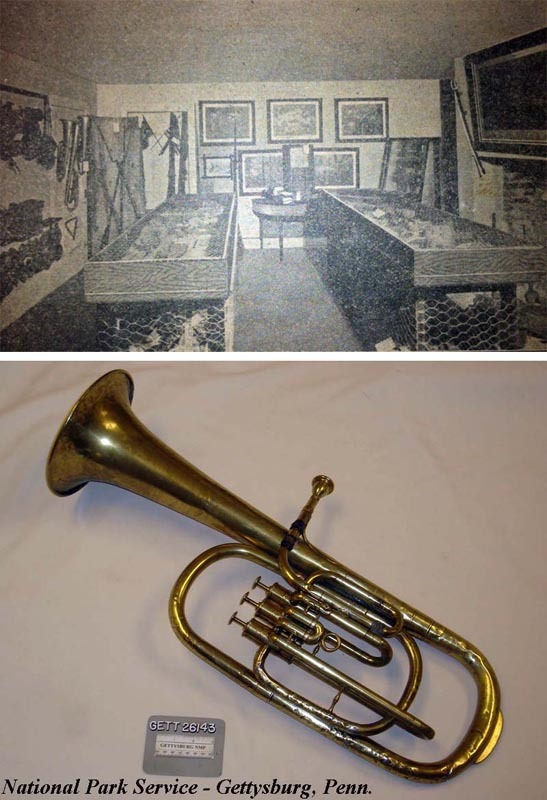 At the bottom is a recent photo of the horn in the Gettysburg National Military Park’s collection. The Rosensteels maintained their museum for another ten years following the purchase from Richards, but in 1971 the family that had been collecting Civil War artifacts for over a century chose to sell. The new steward was the National Park Service. Over 89,000 artifacts and the museum building passed into the hands of the government. The Jacobs-Agan-Chewning-Richards-Rosensteel Collection makes up the bulk of the National Park Service artifacts preserved and on display at Gettysburg today. A visit to the museum will reveal the centerpiece of the collection that grew out of Fredericksburg – the Stonewall Jackson amputation table. This table that Dr. Chewning bought and advertised on all of his brochures, and that Julius Richards so proudly posed next to finally found a permanent home, albeit a great distance from where Chewning had hoped it would remain. 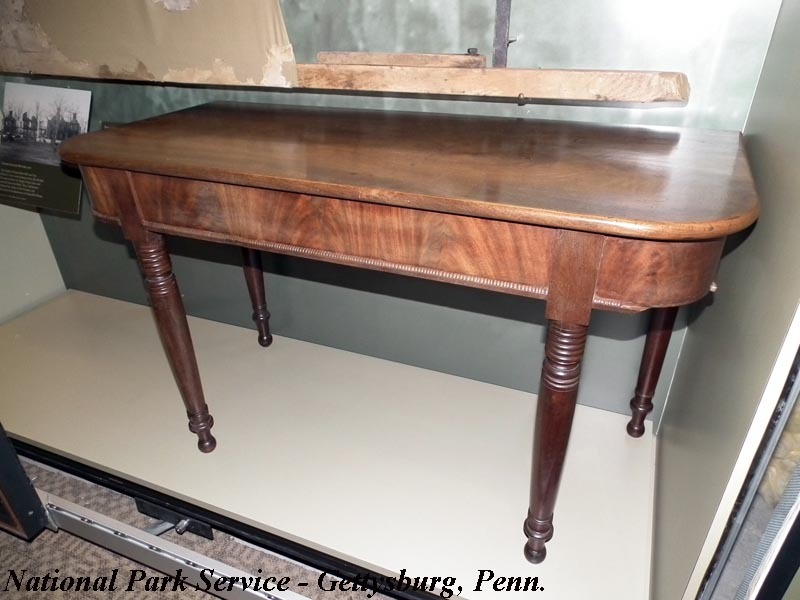 A recent photo of the Stonewall Jackson amputation table on display at Gettysburg National Military Park. Although Dr. Chewning’s National Battlefield Museum did not survive and his collected artifacts ended up in Pennsylvania, the City of Fredericksburg did eventually get its museum. In 1985, Virginia chartered the Fredericksburg Area Museum and Cultural Center. A place dedicated to preserving and interpreting local history, the museum contains artifacts that span ten thousand years of the Fredericksburg region’s culture. Ironically, the museum is housed in Fredericksburg’s historic City Hall, the same location where Reverend Richard V. Lancaster first proposed a local museum be established in 1927. The former Chewning House and National Battlefield Museum now stands at 804 Charles Street in Fredericksburg, Virginia. The Dr. William J. Chewning home that contained Fredericksburg’s National Battlefield Museum came to be viewed as something of an artifact in its own right. 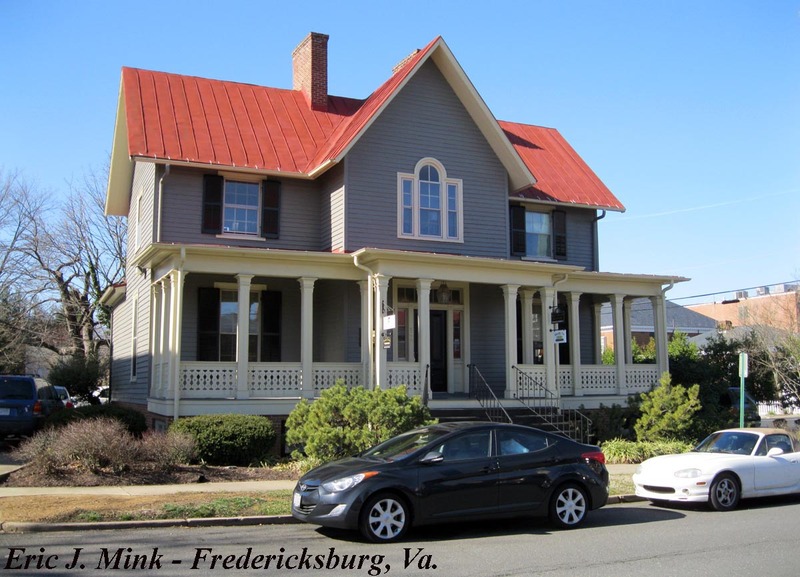 In 1959, Chewning’s descendants sold the old house at 408 George Street to Fredericksburg Savings & Loan. The savings and loan purchased all of the lots along the George Street block and built its office building at the intersection with Charles Street. The former Chewning house and museum remained standing for the time being. In 1984, the bank decided to expand its facilities and the old home stood in the way of the proposed expansion. The plan called for razing the home. This sparked a controversy within the city. The house had been built in 1866 and was considered a fabulous example of Gothic Revival architecture. Historic Fredericksburg Foundation, Inc. (HFFI) became involved in an attempt to save the house. Negotiating with HFFI, the bank finally agreed to offer the house for free to anyone willing to move it. The savings and loan also promised $25,000 towards the moving expenses. Local developer Hunter Greenlaw, Jr. took the challenge and found a suitable location for the home. On March 23, 1984, the William B. Patram Company moved the 160-ton house across the lot to its new home at 804 Charles Street. The Chewning House was saved and still stands today. It should be noted that the first historians to look at early Civil War relic collecting, to include these collections, were Stephen W. Sylvia and Michael J. O’Donnell in their wonderful 1978 book The Illustrated History of American Civil War Relics (Orange, Va.: Moss Publications). Thanks to Paul Shevchuk, Museum Technician at Gettysburg National Military Park, to Nancy Moore, librarian in the Virginia Room of the Central Rappahannock Regional Library, and to Sean Maroney of the Historic Fredericksburg Foundation, Inc., for allowing me to thumb through their research files. Also, thanks to Jim Burgess, Museum Specialist at Manassas National Battlefield Park for providing me with the photo of Julius T. Richards’ museum near Bull Run. These articles are fascinating and thank you for your research! We owe so much to the early collectors. As I’m sure you know, the White Oak Museum in Stafford is another example of one collector’s devotion to preserving CW history. As a Fredericksburg resident I go there several times a year and always find some new perspective to consider. Now I look forward to another trip to Gettysburg to see the F’burg collection. I was there a few years ago but did not realize the local connection. I concur. DP’s Newton’s museum and collection at White Oak is very impressive and a great local historical resource. What a story. Excellent work, Eric. I grew up in Fredericksburg and did not know about that collection. Sad that it got moved so much and diminished somewhat, but we know where most of it is now located. The nice picture the1866 Chewning home and information on how it was saved adds more to the collection story. I was up visiting in September and went over to the White Oak Museum and met DP Newton and saw his amazing collection, a must see ~ The reenactment and lectures during the 150th anniversary were wonderful. Learned so much more about my old home town.. thanks for the articles. Fascinating article and wonderful pictures. We built our winery (The Winery at Bull Run) on what remains of Julius’ old battlefield museum property which sits on Lee Highway near the stone bridge and honor his legacy with a much smaller Civil War museum on our property. Thank you for publishing this story we would never have known about this fascinating chapter in the history of the property.